After releasing their debut project, No Stress, this duo is looking to follow up with a new collection of quality vibes with their guitar driven project executive produced by Ray Ali titled No Strings Attached. A 7 track project centered around guitar-based instrumentals. This “string-themed” project is jammed-packed with hypnotizing guitar riffs, undeniable melodies along with invigorating lyrics and dynamic ear-warming vocals. 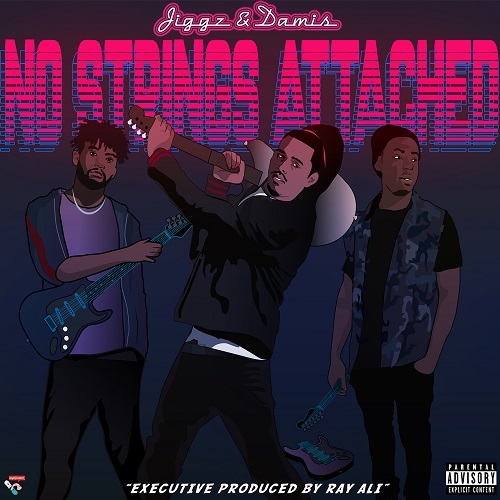 As their reputation and notoriety builds it looks like Jiggz & Damis are the next big thing.